I used to believe that Japanese was somewhat of an elusive entity to me; it existed, but just beyond my realm of understanding. I've made a few Japanese recipes over the years, almost always something very basic. But here's the thing I've started to realize—Japanese cooking isn't as out of reach as it sometimes seems. Like anything, a solid knowledge and skill base builds a foundation and unclouds vision. 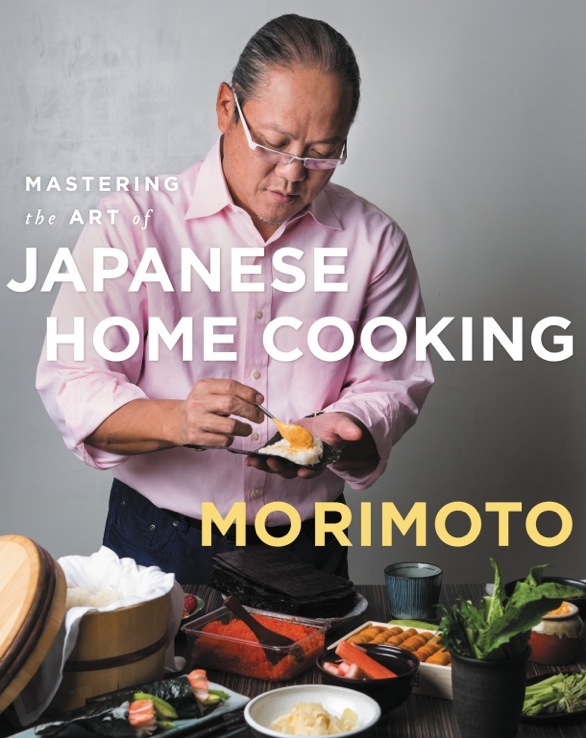 That's what (Iron) Chef Masaharu Morimoto offers up in his new cookbook, Mastering the Art of Japanese Home Cooking. While admitting that this book does not, and could not, contain "every dish in the Japanese grandmother's repertoire", it does feature ones that he whip up in your kitchen if he could...his favorites. 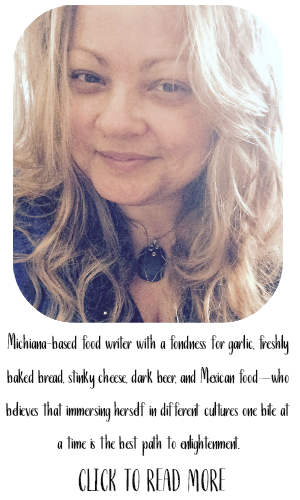 By reacquainting the home cook with dishes and sauces that have been poorly represented in restaurants and supermarket aisles over the years, as well as introducing new dishes, his goal is to make Japanese cooking as well-received as Mexican, Italian, and French are in American home kitchens. 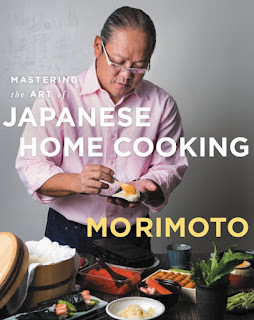 I think Morimoto is well on his way to accomplishing that goal with this cookbook. 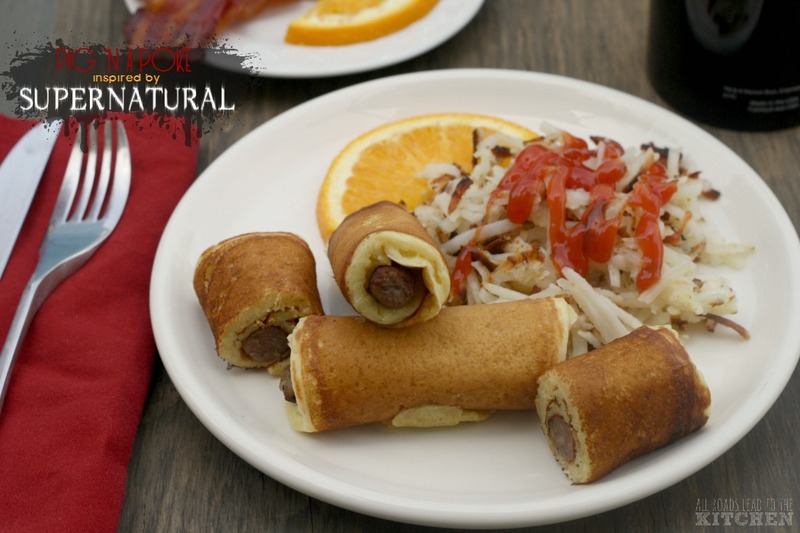 The majority of the recipes have short, and more importantly—obtainable, recipe lists. 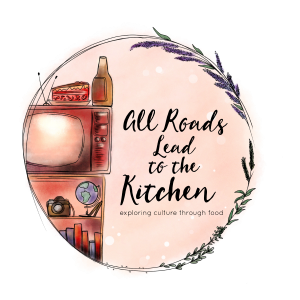 Recipes are introduced and interspersed with personal memories and bits of history, which I believe helps the average home cook connect and understand the recipe better (at least that's what it does for me). And like my favorite cookbooks out there, Mastering the Art of Japanese Home Cooking opens with an introduction from the author/chef. Don't skip this. Never skip this. 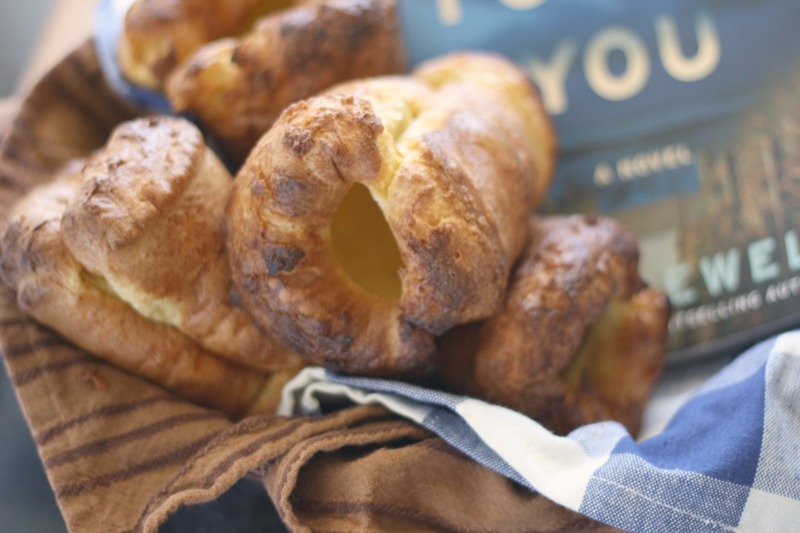 If the recipes are the heart of the book, the introduction is the soul; reading it will help you understand how to embrace the rest of the book. fun features: Each chapter has an "introduction" page that features the Japanese name with the American translation, as well as a small anecdote regarding the topic of the chapter. about the author: Masaharu Morimoto was raised in Hiroshima and opened his first restaurant in Japan. After moving to the United States, he was executive chef at the highly acclaimed Nobu restaurant in New York City, then opened his namesake restaurant, Morimoto, in Philadelphia, which he later expanded to New York. Morimoto’s restaurants now include Wasabi by Morimoto in Mumbai and New Delhi and Morimoto Sushi Bar in Boca Raton, Florida, as well as others in Napa, Mexico City, Maui, and Waikiki. Morimoto appeared on the Japanese television show Iron Chef and the Food Network’s Iron Chef America. 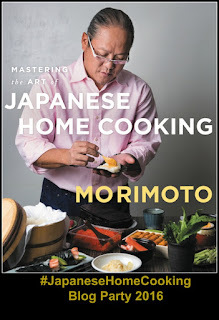 He is the author of Morimoto: The New Art of Japanese Cooking. Find more reviews and featured recipes from Mastering the Art of Japanese Home Cooking at the Japanese Home Cooking Party on the Book Club Cookbook website. 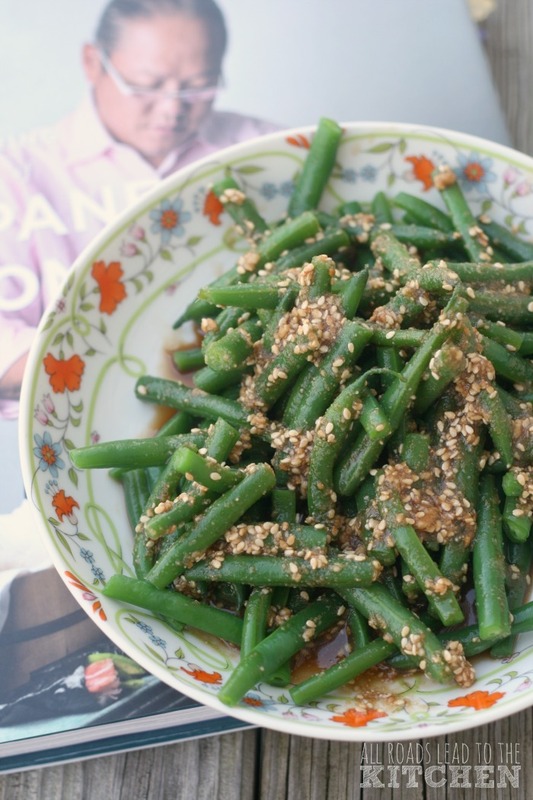 Freshly toasted sesame seeds spiked with soy sauce and mirin become a nutty, rich dressing for crunchy green beans. 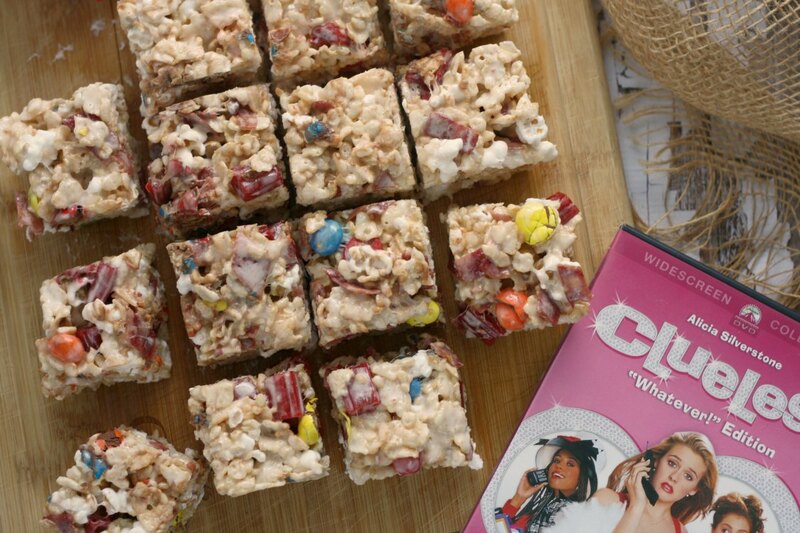 Perfect for picnics and bento boxes. Put the sesame seeds in a small skillet, set it over medium heat, and toast, stirring and tossing frequently, until they're a few shades darker, 2 to 3 minutes. Transfer them to a bowl to cool. Pound the seeds in a mortar or buzz in a spice grinder until you have a slightly coarse powder. Set aside for now. Bring a small pot of water to a boil and season it with about 1 tablespoon salt. Prepare a bowl of ice water. Add the green beans to the pot and cook, stirring occasionally, until they're fully cooked but still have a slight crunch, about 3 minutes. Drain the beans, immediately transfer them to the ice water, and stir well. When the green beans are cool, drain and pat them dry. 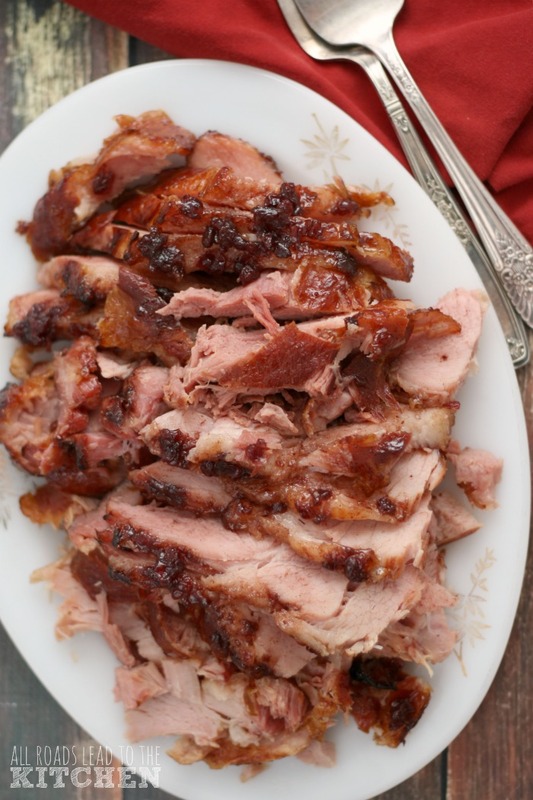 Combine the soy sauce, mirin, sugar, and reserved sesame powder in a bowl and stir to combine. 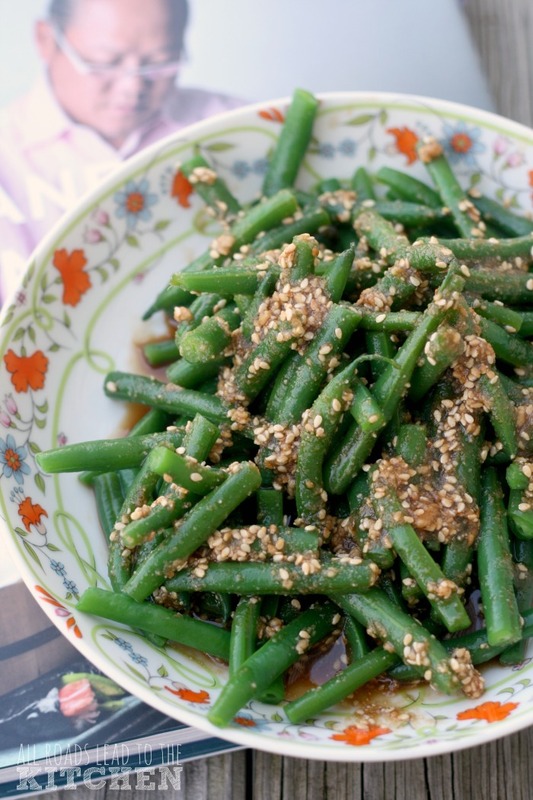 Add the green beans and stir to coat them well. 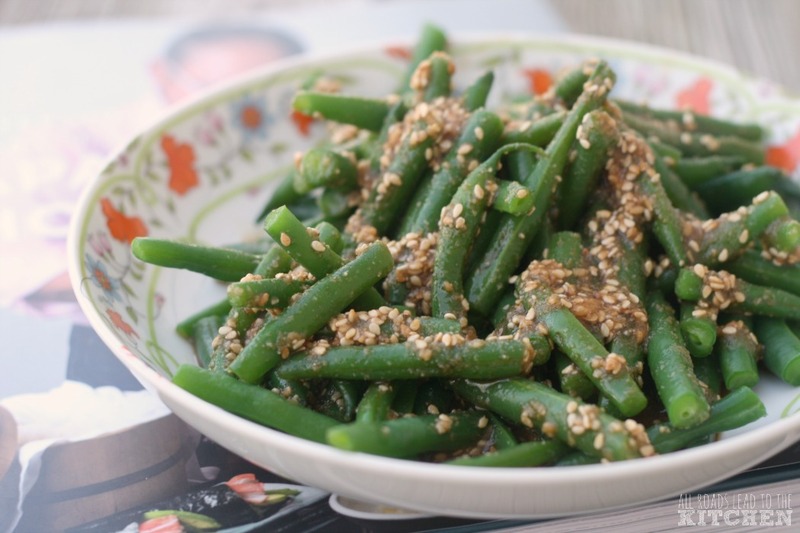 Mound the green beans on a plate and serve. Will keep, refrigerated, in an airtight container for one day. -recipe from Mastering the Art of Japanese Home Cooking by Masaharu Morimoto; used with permission.